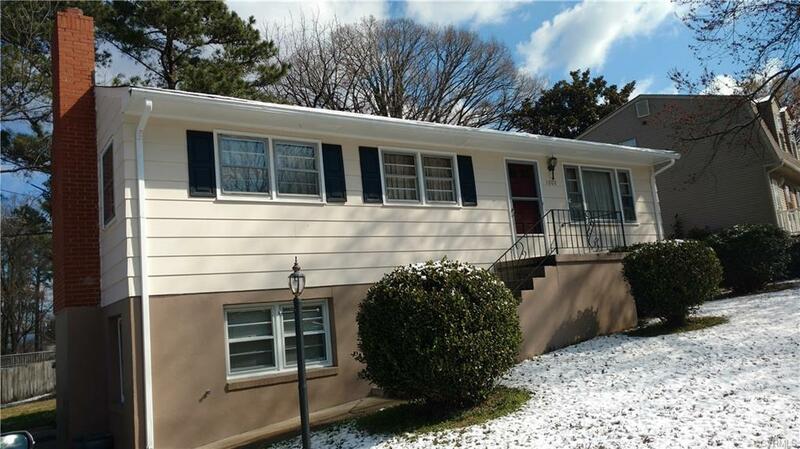 Well maintained rancher with a walk out basement and fairly new roof. Freshly painted exterior. Large living room, dining area, eat-in-kitchen, 3 bedrooms, 1 full bathroom and brand new window unit on main level. Family room with a brick fireplace and bathroom in the partially finished basement. The rest of the basement area is used for storage and a work area. Nice lot on a quiet street and convenient to elementary school and churches. Only one owner since the house was custom built in 1964. Home is being sold in As Is condition with no known defects. Directions: W. City Point Road To N 20th Ave. To Right On Day Street. House On Left. No Sign In Yard.